Located at South Bridge Road, Un-Yang-Kor-Dai is one of the few restaurants in Singapore that specialises in Authentic Issan cuisine. 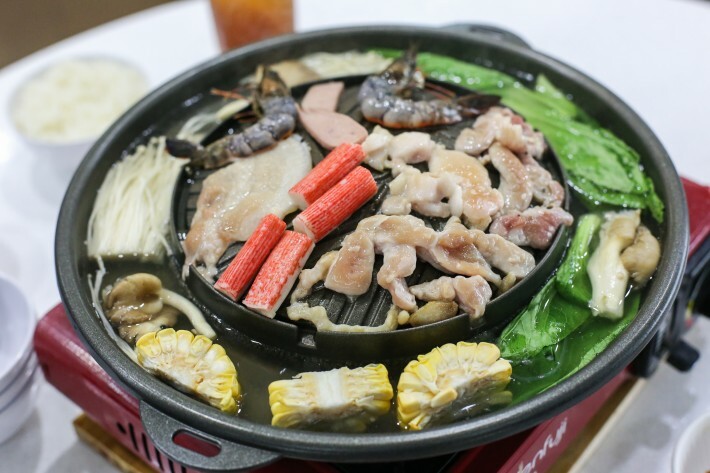 Issan cuisines are usually spicier and sourer, making it a very appetising dining experience. This place gives off a modern and chill vibe, with soft lighting, wooden furniture, and upbeat music that makes one feel at home. 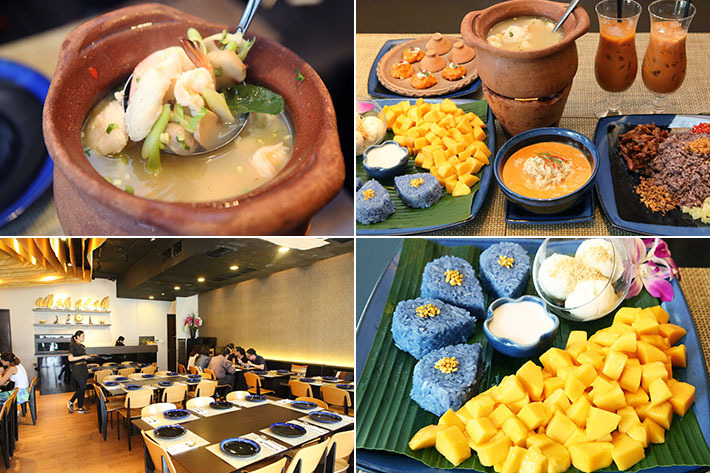 Un-Yang-Kor-Dai’s dishes definitely brings you an authentic Thai experience and if you are into hot and fiery food, this is definitely the place for you. 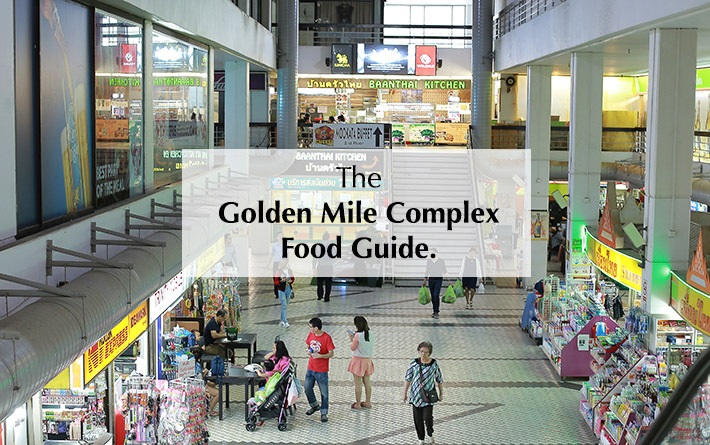 When it comes to Thai options in Singapore, most people may think of Golden Mile Complex but we sometimes find ourselves heading to Tan Quee Lan street because apart from the ever popular Ah Loy Thai, we also enjoy visiting Kin Moo and our most recent discovery—Sawadee Thai Cuisine. Having been around for more than a decade, this Thai restaurant teleports you all the way to the Land of Smiles with its decadent Thai dishes and soft Thai jazz music serenading you while you dine. 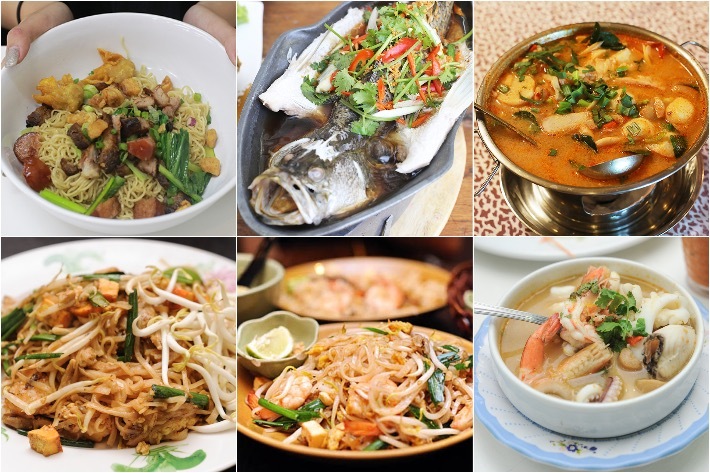 The popularity of Thai food in Singapore is evident from the large number of Thai restaurants and eateries in Singapore offering the best of local cuisine from the Land of Smiles. 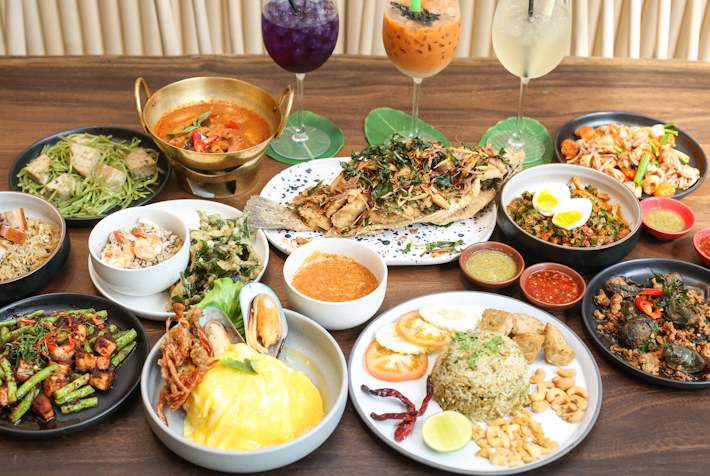 New to the dining scene in Singapore is Baan Ying Singapore, a contemporary Thai restaurant, an authentic Thai eatery which first opened in Siam Paragon, Bangkok, 20 years back. Bringing to us the genuine taste of Thailand with a modern and local twist to its dishes, Baan Ying Cafe and Meal serves amazing and delectable Thai fare. In fact, some of the ingredients are imported all the way from Thailand to ensure that the food tastes exactly like how it does in Thailand! Baan Ying Singapore serves up a wide range of Thai fare but they aren’t the normal Thai dishes you find at typical Thai eateries. From salads to curries to omelette rice, foodies will love the fusion of authenticity and innovation in their meal! Prices are extremely reasonable and most fall below S$10, so you are really getting authentic Thai cuisine that is value-for-money! Singaporeans cannot get enough of Thai wanton noodles, a unique style of wanton noodles comprising springy egg noodles, tender char siew, and crispy wanton tossed in pork lard. But besides the ever popular Soi 19 Thai Wanton Mee, where else can you get a tantalising bowl of Thai wanton noodles in Singapore? Situated along bustling Tan Quee Lan Street, KinMoo is a Thai eatery that opened early this year. Despite being relatively new to the food scene in the Bugis district, KinMoo has been gaining a steady reputation for their mouthwatering Thai food that is not overly expensive. 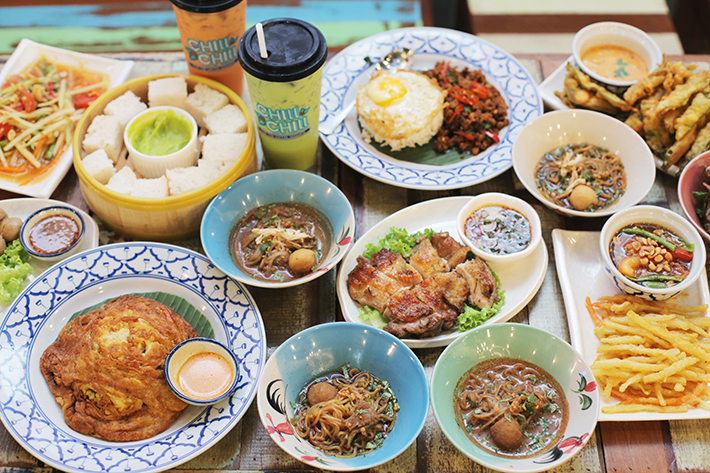 Founded by local celebrities Chew Chor Meng and Zhou Chongqing in partnership with cousins Esmond and Ronnie, 888 Mookata—at the coffee shop in Blk 212 Hougang Street 21—is a new 2-week old Mookata restaurant and the latest addition to the Mookata scene in Singapore. To top it off, service at this restaurant is exemplary which contributes to an enhanced dining experience.